There are two types of cannabis commonly used by people: Sativa and Indica.They grow in different parts of the world, in different climates. Sativa plants tends to grow tall and thin, while Indica plants grow shorter and wider. Sativa strains tend to be more uplifting and invigorating than Indica. 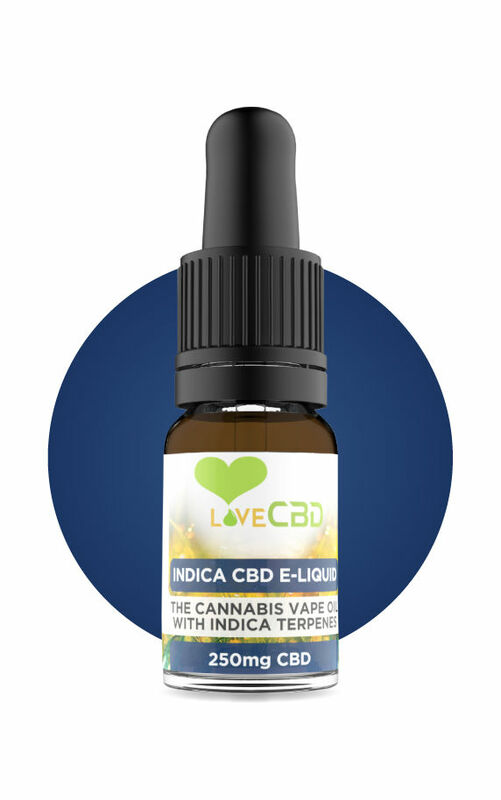 This e-liquid has been infused with specifically-chosen cannabis terpenes – in a ratio designed to imitate the effects of Indica strains of cannabis. Our cannabis is grown on farms that do not use pesticides, herbicides, artificial fertilisers or harmful chemicals. 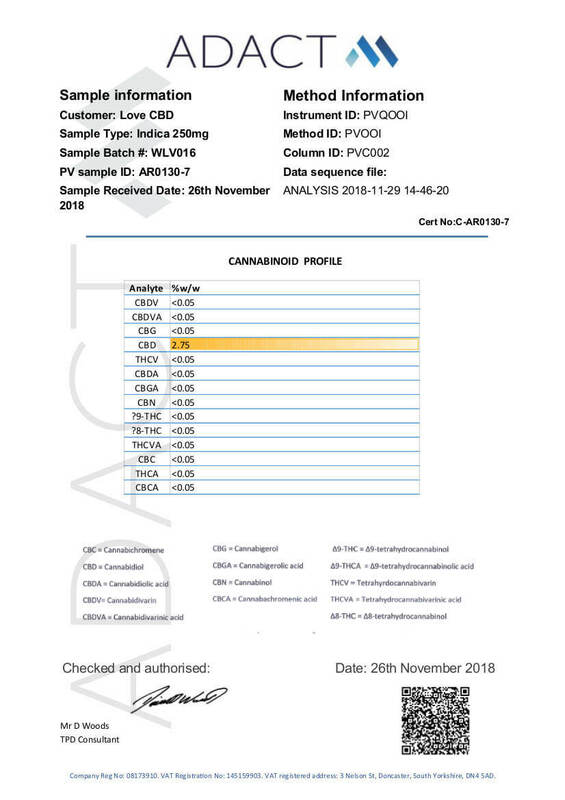 Our cannabis is extracted without the use of solvents. We use CO2 Extraction, which is considered the safest method of extraction. With CO2 extraction, warm air is passed over the cannabis flowers until the cannabinoid oils are released. 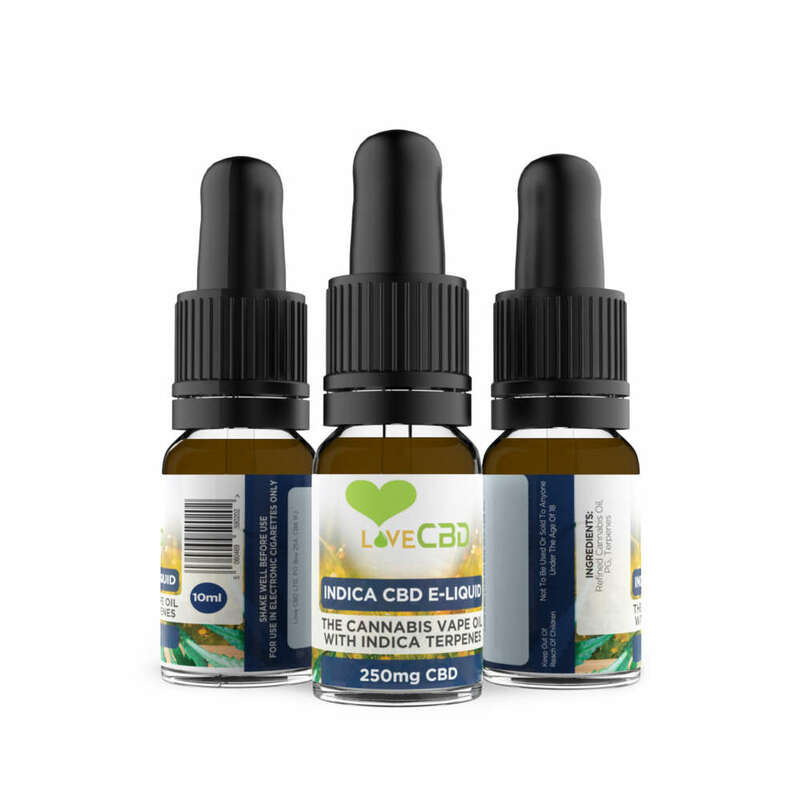 As a result of the MHRA ruling on CBD, we are no longer allowed to publish customer reviews on our website. We apologise for any inconvenience caused. 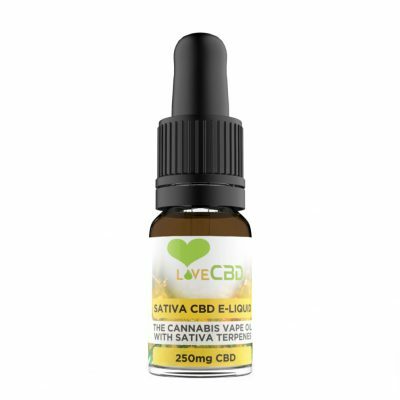 If you would like to get a general sense of what customers think of Love CBD and our products, Trustpilot have created a Love CBD page – which you can read here. 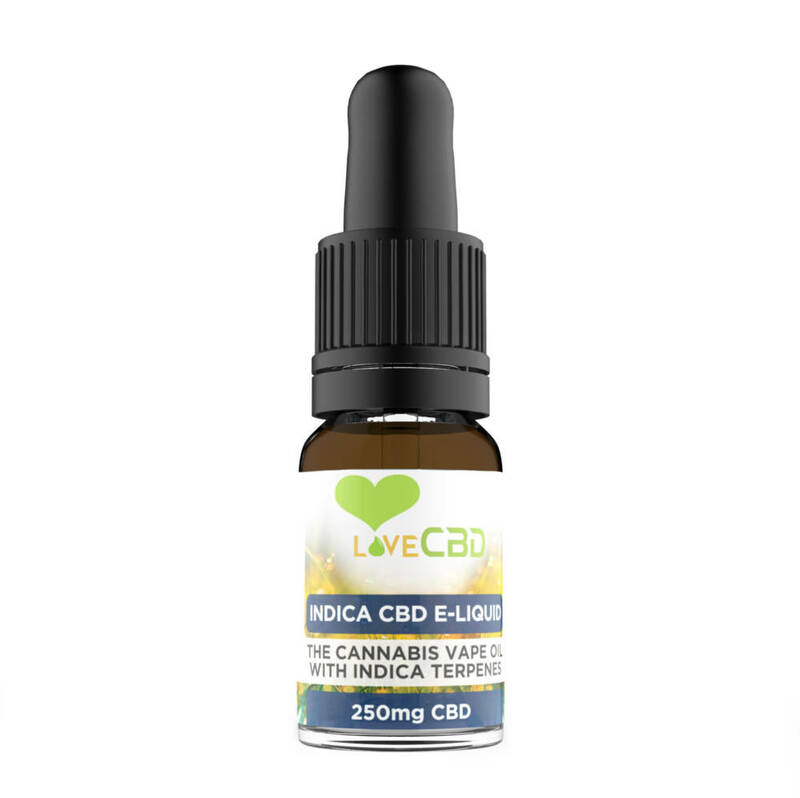 Trustpilot are an independent review company which Love CBD has no connection to or control over. Kind regards, Phil and Dan. Please Note: Royal Mail deliveries may take a day or two longer during December. We apologise for the inconvenience. Next Day Delivery is done by Royal Mail's Special Delivery service. The item should reach the customer before 1pm the next day (except over the weekend).